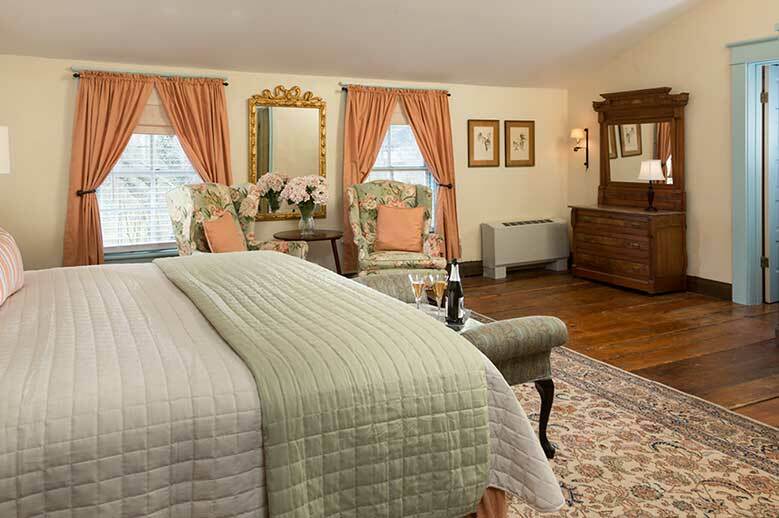 Romantic North Carolina Inn, the Sandy Point Room - Honeymooners! 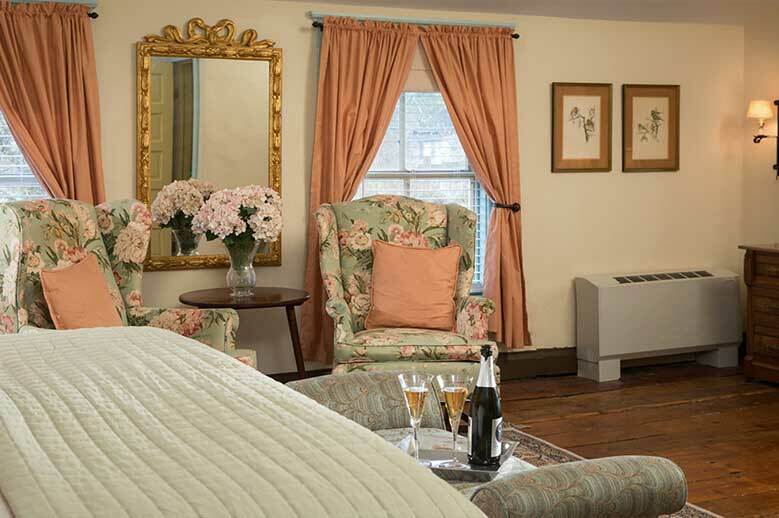 The Sandy Point Room is an oversized room located at the top of the stairs of our romantic North Carolina inn and is on the second floor at the front of the house. 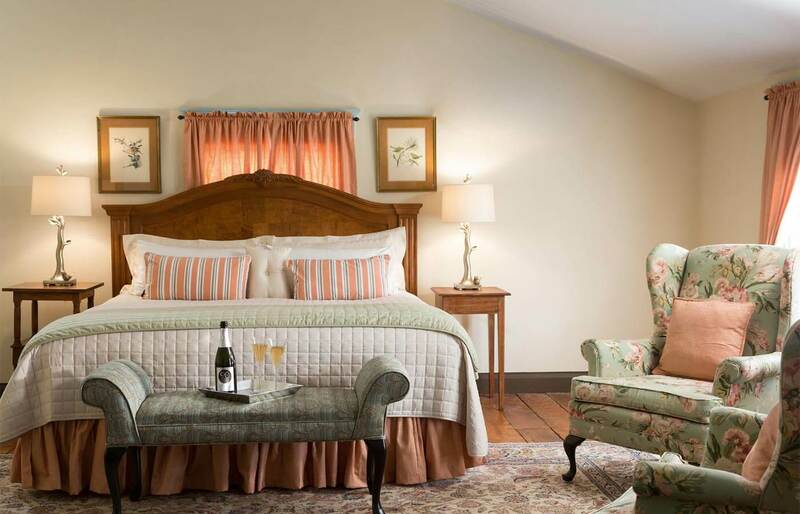 A spacious room with a cathedral ceiling and upper level “packhouse tobacco barn” windows, it is one of our premier rooms and a favorite with North Carolina honeymooners. 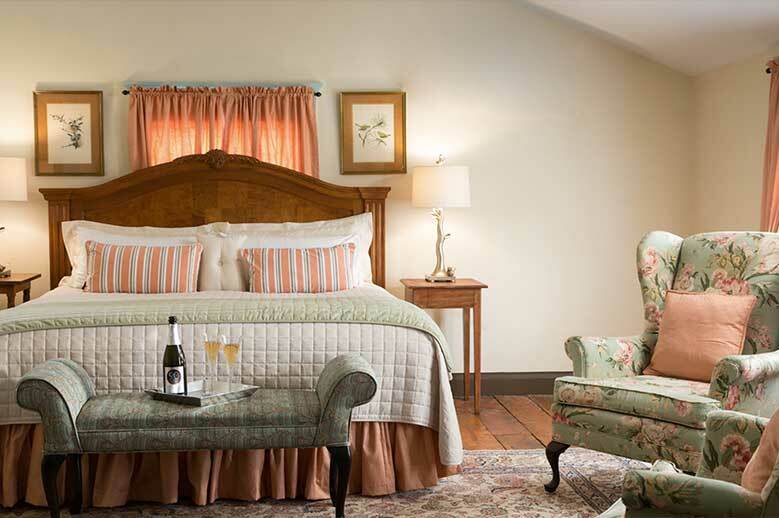 It features a king sized bed with hand pressed linens and quilts. An Eastlake dresser and rich brown and tan colors provide the backdrop of an oil painting of lovers on a swing purchased from the nearby Hayes Plantation estate. 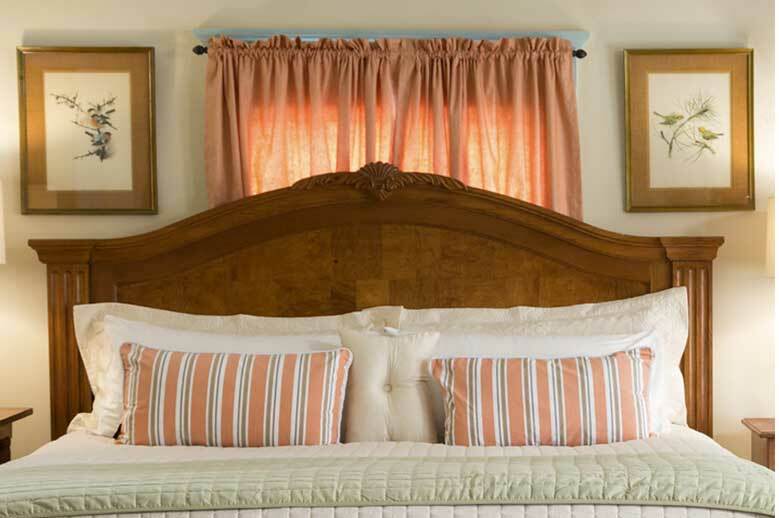 Writing desk, bathroom with separate shower and tub and private toilet/sink area; premium towels and robes. 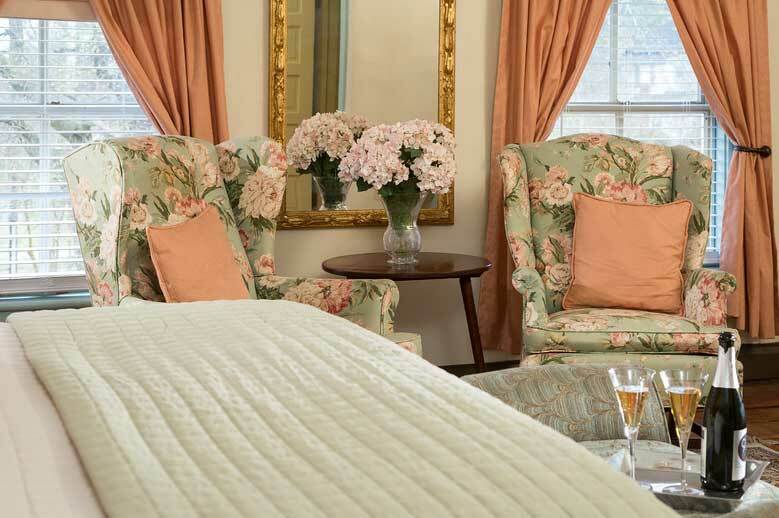 Enjoy southern hospitality at its best in our romantic hotel.